True that! I would always prefer my toddler to play with her toys and with her cousins. But sometimes, it gets too noisy and messy so screen time to the rescue! You are doing a great job mama. Life is totally different between now and then. But you are doIng great. It took me a while to adjust into motherhood but now I feel like I have embraced it. 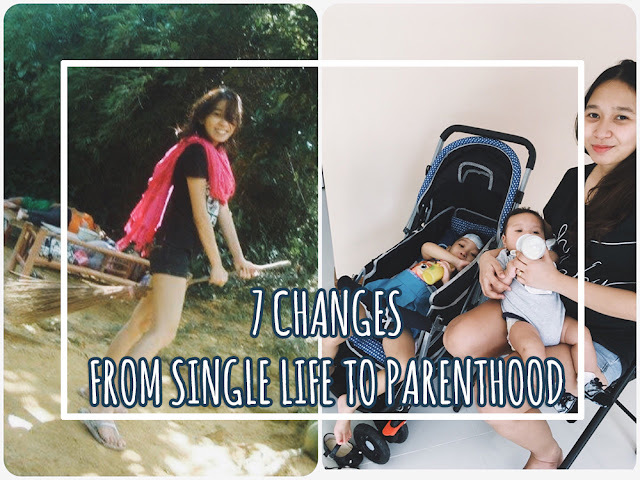 this is a beautifully written post, depicting how a woman's life changes after being a parent. Some changes are for good and some definitely shake us a lot. But nonetheless its the most beautiful feeling to be a parent. Oh yes life changes after motherhood. The biggest change that it brought in my life is to start blogging. Motherhood gave me a direction to my life. A year ago, somebody asked me what's my niche. And I'm like "uhhh..."
Parenthood certainly does change you! But I wouldn't change it for a thing! I honestly think that all those late night outs a single person prepared you for mamahood! At least you know what it's like to get by on very little sleep! Ha ha true to the T. Life changes completely after we become parents. Fyom the dresses we choose to the food we eat.. everything that we do revolves around these little bundles of energy and joy. Your thoughts echo mine! As a mom of two, I couldn't find a better way to describe how my life has turned around. I love this post, because it is all so true. Your comparisons are spot on. I haven't had a baby in a while, I had my son 9 years ago, but when I have my niece for the day, I go through most of things. Great post! it's a drastic change for me too, my life's like upside down, i have no clue which movie or music is releasing, i hum rhymes in shower, I eat non spicy food. your post is bang on. Oh Yes, A moms life completely changes after the baby. Its like everything revolves only around kids once you have them. Great post. I so agree with this post.. even I have written two or more posts on this topic only. Motherhood is so overwhelming and it changes you overnight! Yes parenthood will change you but it's the best experience ever. Enjoy your compare and contrast of how vastly life changes you.